I recently discovered Butcher Jones Recreation Area near Mesa. It’s a great spot to cool off this summer, if you don’t mind sharing the beach with lots of families there to swim and picnic. 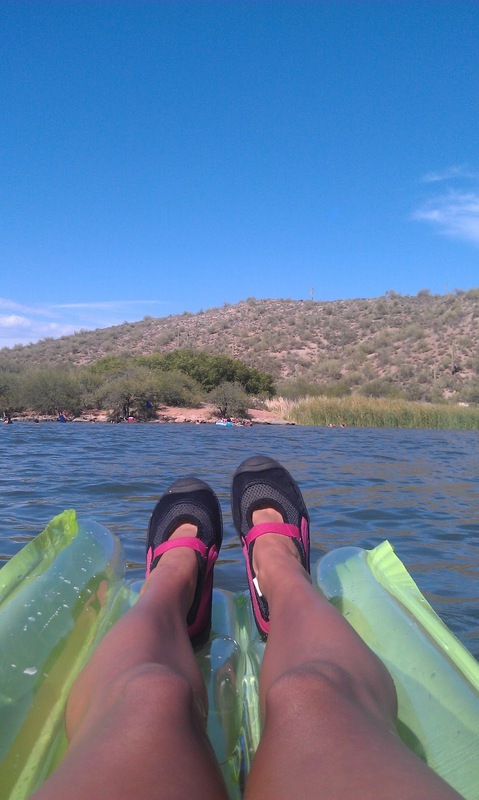 My advice is to bring rafts and swim out farther than the little kids. You won’t feel as crowded. 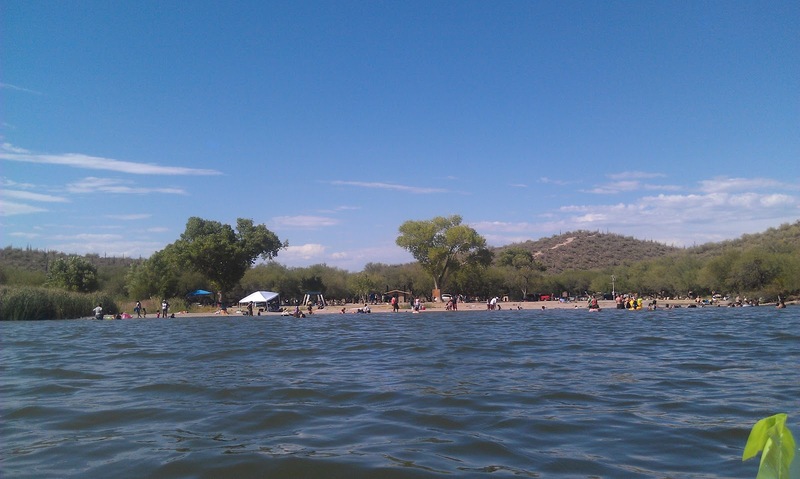 From the water you can see families hanging out on the beach at Butcher Jones Recreation Area. The scenery was lovely on a recent stormy day. 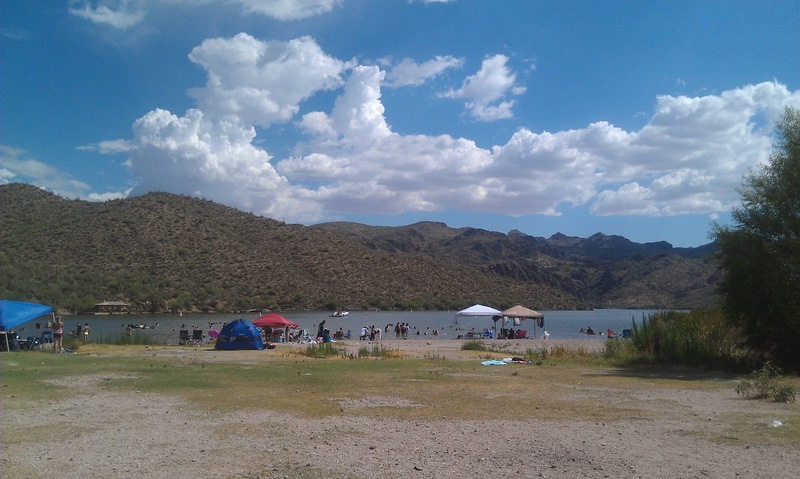 Many families bring shade tents and spend the day on the water. Before you go to Butcher Jones Recreation Area: Make sure to buy a $6 recreation pass at the Walgreens on Power Road once you exit the freeway. 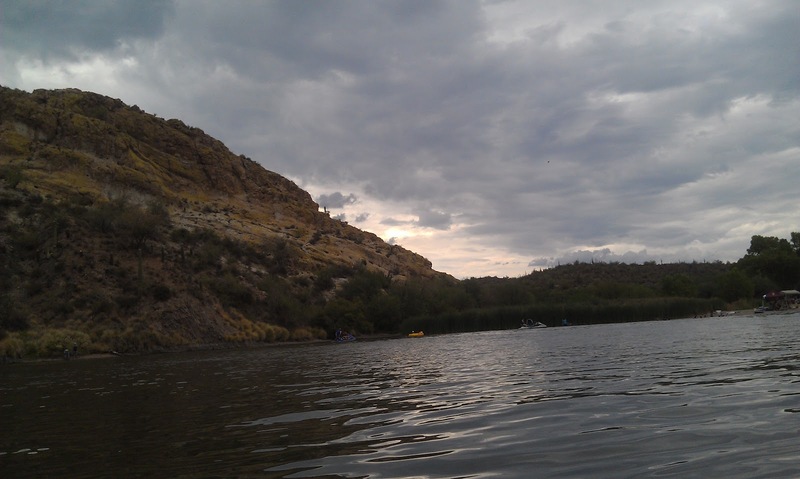 See the Tonto National Forest website for more information.